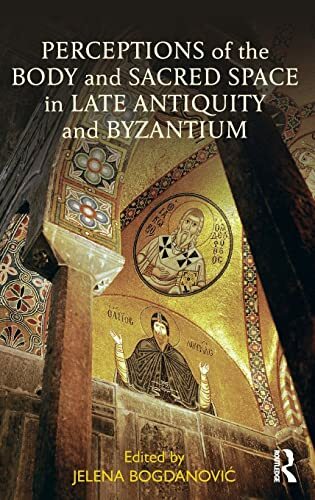 Perceptions of the Body and Sacred Space in Late Antiquity and Byzantium seeks to reveal Christian understanding of the body and sacred space in the medieval Mediterranean. Case studies examine encounters with the holy through the perspective of the human body and sensory dimensions of sacred space, and discuss the dynamics of perception when experiencing what was constructed, represented, and understood as sacred. The comparative analysis investigates viewers’ recognitions of the sacred in specific locations or segments of space with an emphasis on the experiential and conceptual relationships between sacred spaces and human bodies. This volume thus reassesses the empowering aspects of space, time, and human agency in religious contexts. By focusing on investigations of human endeavors towards experiential and visual expressions that shape perceptions of holiness, this study ultimately aims to present a better understanding of the corporeality of sacred art and architecture. The research points to how early Christians and Byzantines teleologically viewed the divine source of the sacred in terms of its ability to bring together – but never fully dissolve – the distinctions between the human and divine realms. The revealed mechanisms of iconic perception and noetic contemplation have the potential to shape knowledge of the meanings of the sacred as well as to improve our understanding of the liminality of the profane and the sacred. Jelena Bogdanović is Associate Professor of Architecture at Iowa State University, USA. Trained as an architect and an historian of art and architecture, she specializes in the architectural history of Byzantine, Slavic, Western European, and Islamic cultures in the Balkans and the Mediterranean.